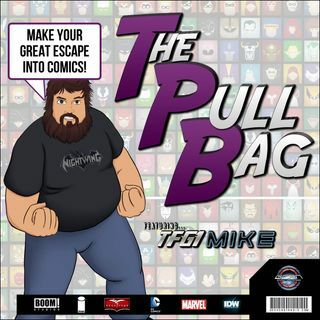 In Episode 108 of The Pull Bag we are continuing the second annual BATMAN MONTH by continuing our journey into the future and going Beyond!! That’s right JT and Mike are talking about Batman Beyond Justice Lords Beyond! We are continuing our journey through the many Bat-Men in this year’s BATMAN MONTH! And as always remember to MAKE YOUR GREAT ESCAPE into Comics!